Zombie Estate 1 and 2 saw releases on Microsoft's Xbox Live Indie Games service. Today, the second game of the series is seeing a full fledged release on the PC thanks to Steam. 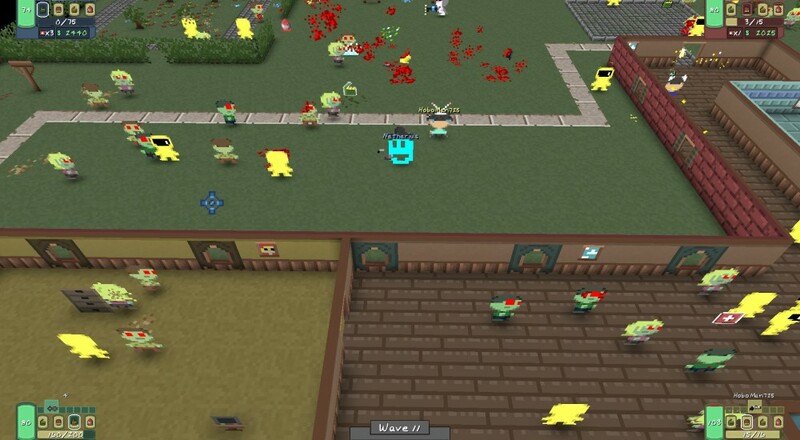 Zombie Estate 2 is features 35 characters with unique stats, over 100 weapons, 30 hats, and 6 unique levels all wrapped up in a frantic co-op shooter. The four player co-op game features both online and couch co-op to enjoy with friends. Face 13 unique zombie enemies. Randomized wave generation ensures every play-through is fraught with new challenges. Unlock new characters with Zombie Points earned at the end of each round. Want to be a duck? No problem. Sheep? Sure, why not? A sentient piece of broccoli? Why...? But sure! The game encourages cooperative play through the use of player classes like medic, tank, etc. It's available now for $4.99. Page created in 0.7695 seconds.